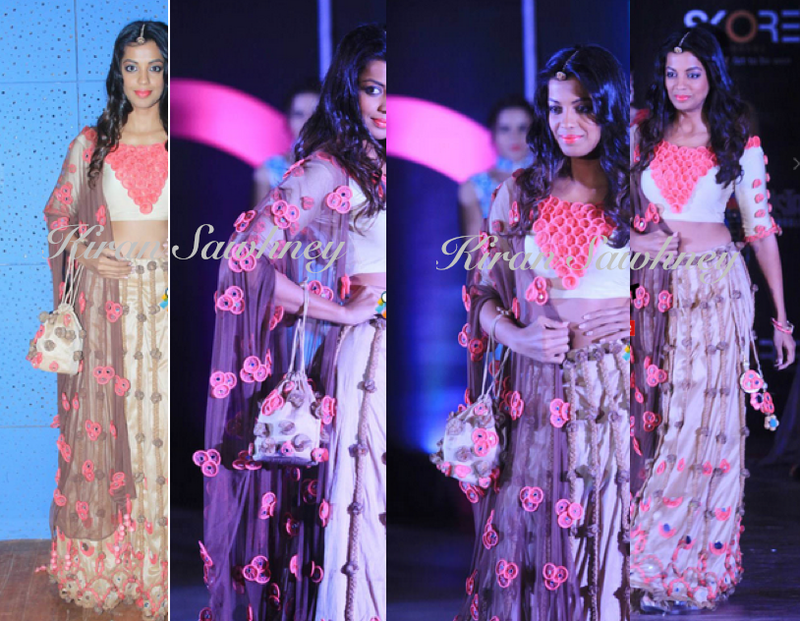 Mugdha Godse attended India's 1st Condom Fashion Show - Skore. She looked super tacky- what with lots of ropes hanging from all over and then matching, busy potli, coral lips, coral flowers on the blouse and lehenga. Its too much for us to see. Nay.